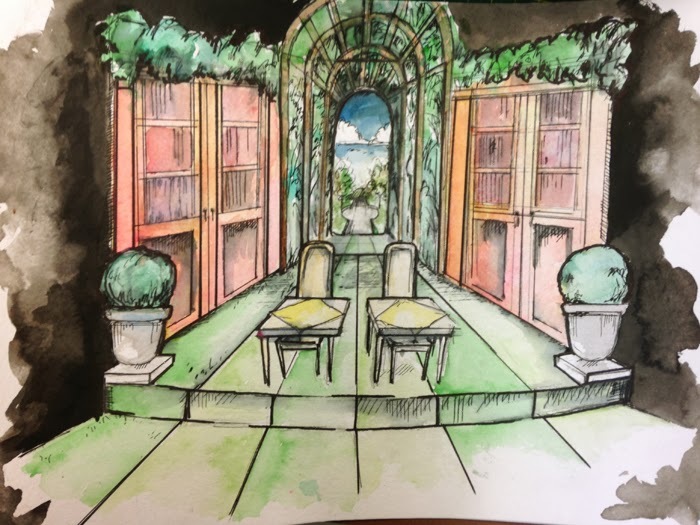 A sketch of the set design for The Importance of Being Earnest. A group of theatre students is getting ready to bring an Oscar Wilde classic to the stage. The Importance of Being Earnest is being presented by the Douglas College departments of Theatre and Stagecraft & Event Technology March 7-14. Wilde's comedy, first performed in the 1890s and set in the Victorian era, tells the story of stylish Algernon Moncrieff and gentlemanly John Worthing, close friends who each encounter romantic conflict while masquerading under the name of Ernest. “Our theatre students had to immerse themselves in the period's culture, aesthetics and even etiquette, until it became second nature." The Importance of Being Earnest runs March 7-14 at the Studio Theatre, Douglas College, 700 Royal Ave., New Westminster. Tickets ($10-$12) are available through Massey Theatre, 604 521 5050.